December is packed with many holidays. And all have their unique traditions and possible pitfalls for pets. From Christmas and Hanukkah to Boxing Day, Kwanzaa, and Omisoka, pets will be introduced to many types of celebrations and festivities. Keeping pets safe during this month of celebrations is no small feat. Departures from the normal everyday routine include different events, schedules, behaviors, noises, food, beverages, decorations, lights, candles, presents, guests, etc. Pets won’t be used to these changes, so special care will be needed to keep them away from some distractions that could cause them harm. After all, nobody wants to make an emergency trip to their veterinarian, especially during the holiday season. Hopefully, the Holiday Pet Safety Tips listed below will help you navigate the holiday season and keep your pet out of harm’s way. This is the Boy Scout motto. If it’s good enough for the Scouts, it’s a good example for all of us to follow as we safeguard our pets every day - but especially during the holidays. According to the American Veterinary Medical Association – AVMA, it’s a great idea to include the following information in your emergency contact list that you should keep readily accessible. Many of us like to give our pets a treat from time to time. Some of us more often than that (guilty as charged). It’s really hard to deny those sad, penetrating eyes, but when it comes to the rich or spicy nature of many holiday foods, abstinence may be the best policy. Holiday treats are typically more fatty, sweet or salty, and can really wreak havoc with a pet’s digestive system. And some can be downright poisonous. 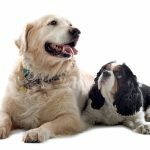 Much safer alternatives would include pet-formulated treats or treats you give your pet on a regular basis. The AVMA recommends that the following human food not be given to pets. Chocolate: A popular sweet during the holidays, but toxic to dogs and cats. Even though the toxicity level is predicated on the type (purity) of chocolate, the size of the pet and the amount eaten, it’s much safer to make chocolate off limits to your pet at all times. For instance, a few pieces of chocolate consumed by a Chihuahua would potentially be a more critical situation than a few pieces eaten by a Great Dane. Baked Goods and Other Sweets: We all know what chocolate looks and tastes like. But, we don’t necessarily know what sweeteners some baked goods and other sweets contain. Especially if brought by a guest or another family member. An artificial sweetener called Xylitol may be present in these other sweets. Often present in baked goods, candy and gum, it has been linked to liver failure and even death in dogs. Turkey: Both turkey and turkey skin can cause pancreatitis, a life-threatening condition in pets. Onions: Onions are poisonous to pets. 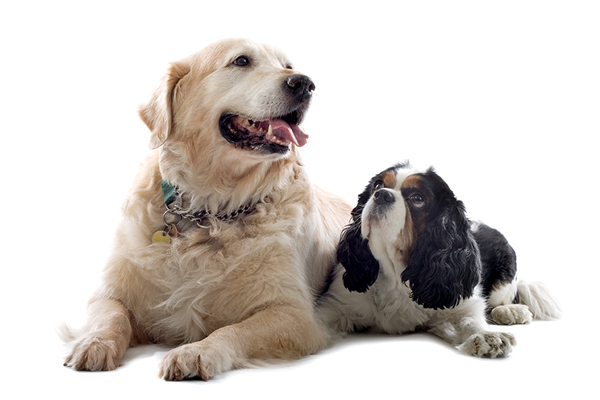 Raisins & Grapes: Raisins (dried grapes) and Grapes are poisonous to pets. Bones: Bones can break into angular, sharp pieces that can damage internal organs. 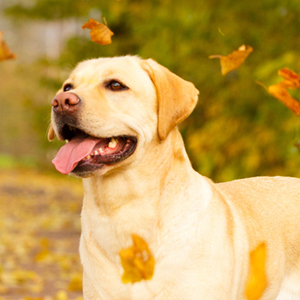 It is best to provide bones specifically designed for pets and skip the bones from turkeys and chickens. Alcoholic Drinks: Another no-no is alcohol. A pet ingesting alcohol can lead to weakness, becoming ill and even going into a coma, with the possibility of death from respiratory failure. Yeast Dough: Raw yeast dough can cause painful gas and dangerous bloating. Garbage Cans: Last, but definitely not least, are garbage bags and cans. All of the above hazards are likely contained in trash bags and cans. Definitely keep trash bags, cans, recyclable material, including empty food containers, somewhere safe and away from pets. The garage or closeable laundry room work well. Decked out Christmas trees, complete with thousands of lights, tinsel, popcorn strands, and glass/battery operated ornaments make the season much more festive. However, pets should steer clear of these flashy and tempting decorations. Both the AVMA and the ASPCA recommend the following precautions. Christmas Trees: Be sure to sufficiently secure your Christmas tree with a good stand and possibly fishing line to the ceiling or door frame. If possible, place your tree in a corner of the room to maintain more stability in case a pet was to try and climb it or accidentally bump it. Stagnant tree water is also a hazard if consumed. Keep the water as fresh as possible and don’t add sugar, aspirin or tree stimulant if pets are around. Ornaments: Glass or plastic ornaments can be a big hazard. If ingested or stepped on, they can cause internal or external injuries. Wire ornament hangers can also pose a problem if ingested. Battery operated ornaments that light up or make sounds can be hazardous if the batteries are punctured and ingested. Also, keep any homemade ornaments, including those made with salt dough or other food-related ingredients, away from pets. Tinsel: Tinsel looks great and sparkles like the Fourth of July, but it is best to not use it at all or keep it well out of reach if pets are around. It is shiny and looks appealing to pets, but can cause an intestinal blockage if ingested. Surgery is usually the only method of relief. Lights: When placing lights, keep them higher up on the tree and off low branches. Pets can become entangled or burned. It’s also a good idea to tape exposed indoor and outdoor wires to the wall or floor to keep them out of the way and from drawing too much attention. Nobody wants to revisit the scene from National Lampoon’s Christmas Vacation when the cat bites into the Christmas light cord and becomes a permanent imprint in the carpet. Candles: Candles are another hazard to watch out for when pets are around. Candles should be placed high on cabinets or shelves. A pet can knock over a candle and get burned or start a fire. Never leave a candle unattended, but especially when a pet is around. Homes with fireplaces should ensure that a fireplace screen is in place at all times to avoid accidental burns. Potpourris: Liquid potpourris contain essential oils and cationic detergents that can severely impact your pet’s mouth, eyes, and And solid potpourris can be injurious if ingested. 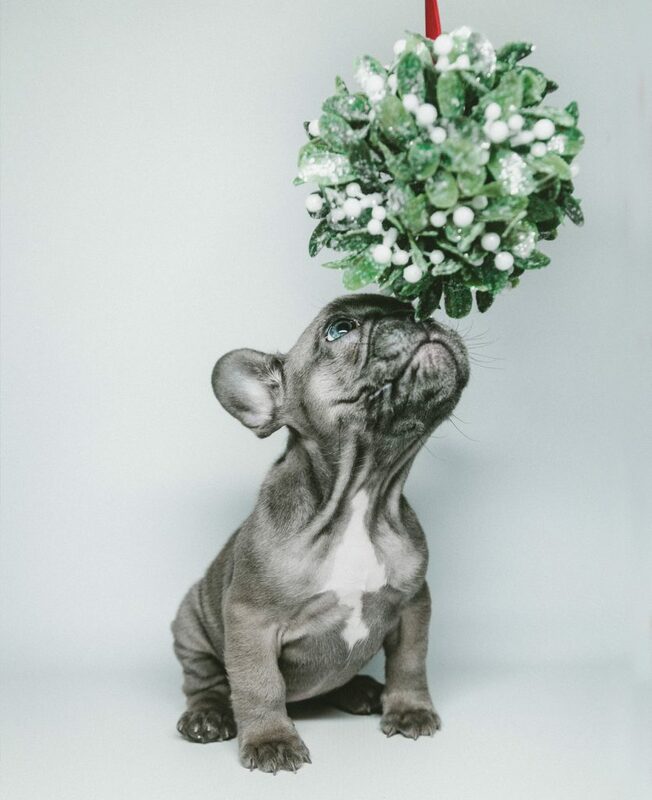 Flowers & Plants: Amaryllis, mistletoe, balsam, pine, cedar, holly and poinsettias are all potentially poisonous or troublesome for pets if eaten. A lot of the fun during the holiday season is having family and guests over for the festivities. But, visitors can upset some pets. Some will love the extra attention, but others may get frightened. Per the AVMA, the following tips will help your pet feel more comfortable while keeping your extended family and guests safe a well. Quiet Place: A place where your pet can relax and not be bothered by guests or loud noises is a Good Thing as Martha Stewart likes to say. This could be a partitioned laundry room, garage, bedroom, study or a crate. Somewhere where guests or the noise won’t bother the pet. Inform Guests: Let guests and extended family know that pets will be around so they can take the needed precautions prior to arrival. It can be quite a shock if guests have not planned for the possibility of pets being present. Exit Danger: Be sure to watch the exits when guests are arriving or departing. If pets are left to mingle with the guests, be sure they don’t bolt out the door when it is opened. ID Tags & Microchips: These are both great advantages if a pet escapes and has to be found. So many pets are reunited with family when they have identification on them. Medications: Make sure all medications are put away and safe from the reach of pets. And check with your visitors to make sure they don’t leave any medications in areas accessible by pets. Not all hazards are ingested. Invitations to friends and family mean ringing doorbells and hello hugs, a perfect opportunity for a door-dashing dog to slip out. Richell’s pet gates, feature an array of finishes and sizes to keep our pets close to the action but out of mischief. 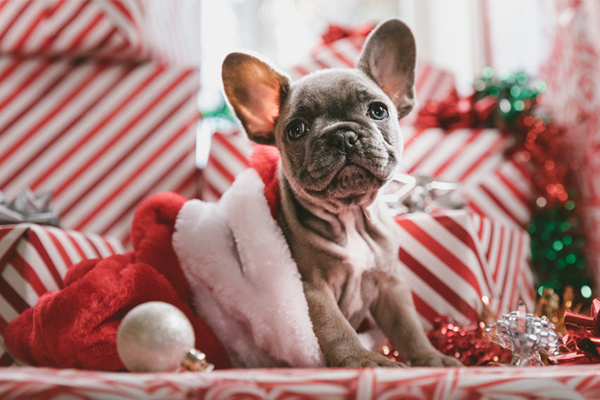 Getting everything ready for the holidays can seem overwhelming at times, especially when planning for pets as well, but when you are sufficiently “Prepared”, it will make for a much easier and more pleasant holiday season for you, your guests and your pets. Happy Holidays from Richell USA. Enter to WIN Richell's One-Touch Pet Gate! Promotion expires 12/19/2018. This promotion valid within the continental U.S. only. Richell USA will not share your information with any third parties.